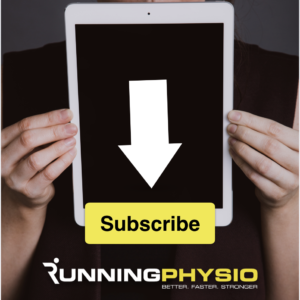 Our Great Expectations series has really gained momentum this week with the addition of Stuart Warden’s excellent piece on bone stress injuries and we have another cracker for you today! Top physio and researcher Anthony Teoli has written about osteoarthritis (OA) of the knee for us before and studied OA and walking biomechanics. He’s also the founder and editor of educational website InfoPhysiotherapy so is the perfect candidate to be talking about what we might expect during OA rehab. Be sure to follow Anthony on Twitter via @InfoPhysioPT and check out his Facebook page – he shares some real gems, not to be missed! If you’d like to learn more about running injury including load management, S&C and gait analysis join us on Running Repairs in Cardiff this coming May, be quick though, it’s filling fast! Knee osteoarthritis is a complex, multi-factorial disease. Rehabilitation for a patient with knee osteoarthritis is extremely variable and highly dependent on patient symptoms, perception of their own condition, central sensitization, presence of fear avoidance, etc. It can vary from anywhere between 4-6 weeks to 6 months. More complex cases can extend past 6 months. Frequency of PT sessions: 1-2x per week depending on patient presentation, need for guidance, etc. Typically involves patient education (weight management, addressing any fear avoidance perceptions/beliefs about condition, patient expectations, etc. ), reducing pain, desensitization of the knee and surrounding areas, normalizing knee ROM and gradually increasing tolerance to physical effort through activity modification and exercise selection. Exercise parameters are guided by irritability of symptoms. Ideally, a reduction in symptoms and improvement in load tolerance (even mild) should be seen within this period. Improved load tolerance (i.e. the patient can do more without an increase in symptoms) – can be measured via 6-minute walk test, TUG, 30-second chair-stand test, 40 meter fast-paced walk test, stair-climb test, etc. Strength: improvements in strength may also be noted. This phase can take more or less time than indicated. Any setbacks such as flare-ups should be addressed and the patient reassured. The treatment plan and exercise selection can be modified accordingly. Patient expectations must be managed. Improvements in pain and function through exercise typically takes several weeks. The patient should be made aware of this. Regular, progressive and consistent exercise is key! Re-evaluation of patient goals, treatment plan and functional capacity. Flare-ups – need to reassure patient and modify treatment plan and exercises accordingly. Ability to continue treatment – lack of time, work commitments and financial costs can be barriers to ongoing treatment. One potential solution would be to space out appointments and follow-up with the patient regularly via e-mail or telephone. This makes sense clinically as it’s likely we’ll need to allow sufficient time between appointments to see progress. Presence of anxiety, depression, etc. For more on OA check out the key research below and see Richard Leech’s excellent guest blog. Don’t forget to follow Anthony on Twitter, Instagram and Facebook. Any key research evidence to consider? Andriacchi et al. (2015). A Systems View of Risk Factors for Knee Osteoarthritis Reveals Insights into the Pathogenesis of the Disease. Dobson, F., Hinman, R. S., Roos, E. M., Abbott, J. H., Stratford, P., Davis, A. M., … & Hansen, P. (2013). OARSI recommended performance-based tests to assess physical function in people diagnosed with hip or knee osteoarthritis. Lluch, E., Torres, R., Nijs, J., & Van Oosterwijck, J. (2014). Evidence for central sensitization in patients with osteoarthritis pain: a systematic literature review. Lluch, E., Nijs, J., Courtney, C. A., Rebbeck, T., Wylde, V., Baert, I., Wideman, T. H., … Skou, S. T. (January 01, 2017). Clinical descriptors for the recognition of central sensitization pain in patients with knee osteoarthritis. McAlindon, T. E., Bannuru, R., Sullivan, M. C., Arden, N. K., Berenbaum, F., Bierma-Zeinstra, S. M., … & Kwoh, K. (2014). OARSI guidelines for the non-surgical management of knee osteoarthritis. Fransen, M., McConnell, S., Harmer, A. R., Van der Esch, M., Simic, M., & Bennell, K. L. (2015). Exercise for osteoarthritis of the knee. The Cochrane Library. Petursdottir, U., Arnadottir, S. A., & Halldorsdottir, S. (2010). Facilitators and barriers to exercising among people with osteoarthritis: a phenomenological study.